Well, why not German whisky? 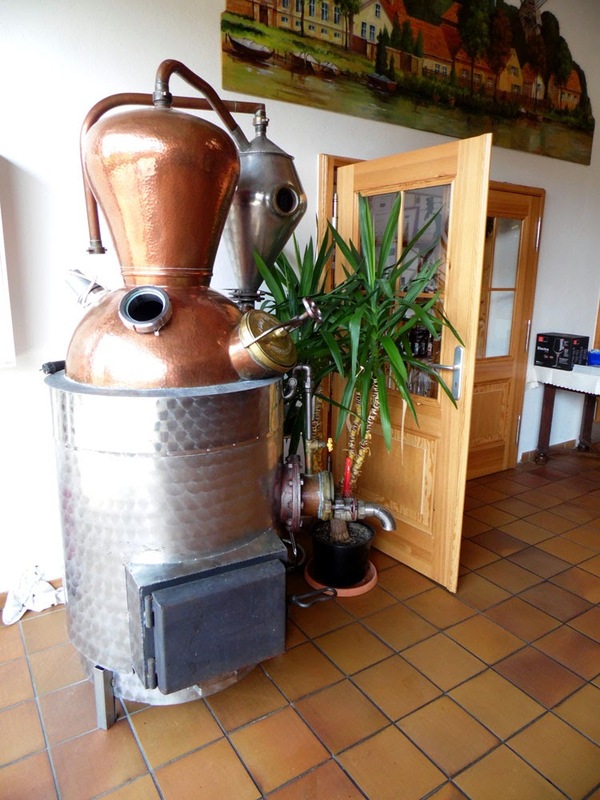 Germans of all nations have a long history of distilling tasty, and often-times fiery Schnaps from fruit and herbs. Plus they are masters of conjuring up delicious beers from various grains. 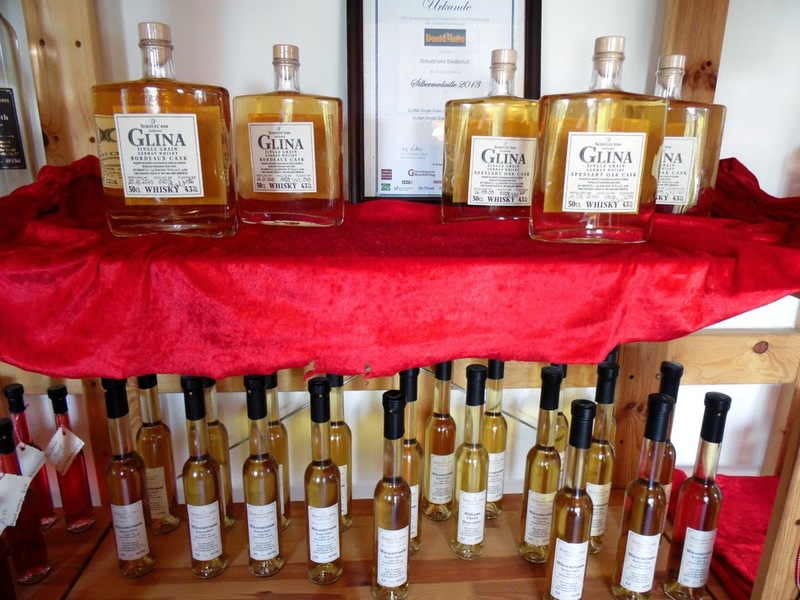 So why not have a go at distilling a grain whisky? If even the Japanese can make a success of creating their own version of the uisge beatha, then we shouldn't instantly dismiss the notion that good whisky only comes from Scotland and Ireland (and Tennessee of course). 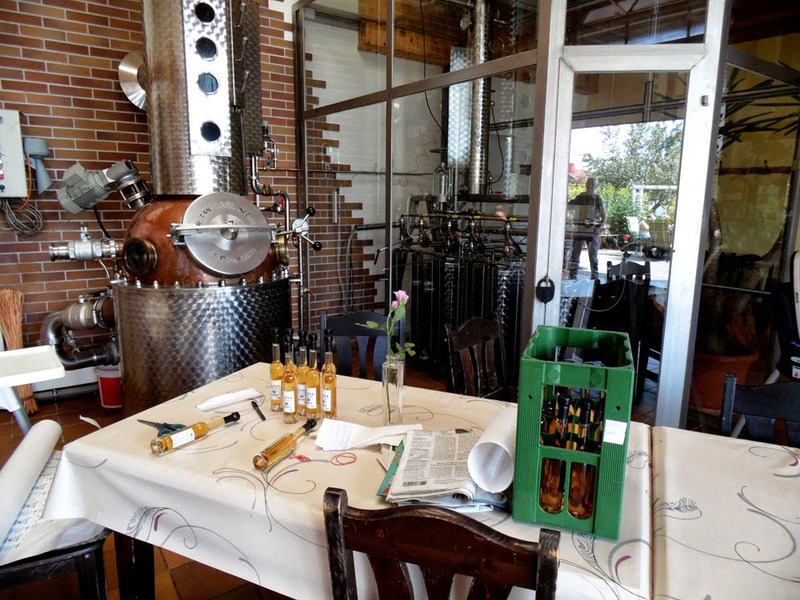 If there is anywhere in Germany you'd expect would have a go at making whisky, then the fruit-growing region around Werder an der Havel is a good bet. The area is famous for its Obstwein (fruit wine) and Obstbrand (fruit schnapps), both of which are drunk to profusion at the large Baumblütenfest (blossom festival) held annually in May at Werder. 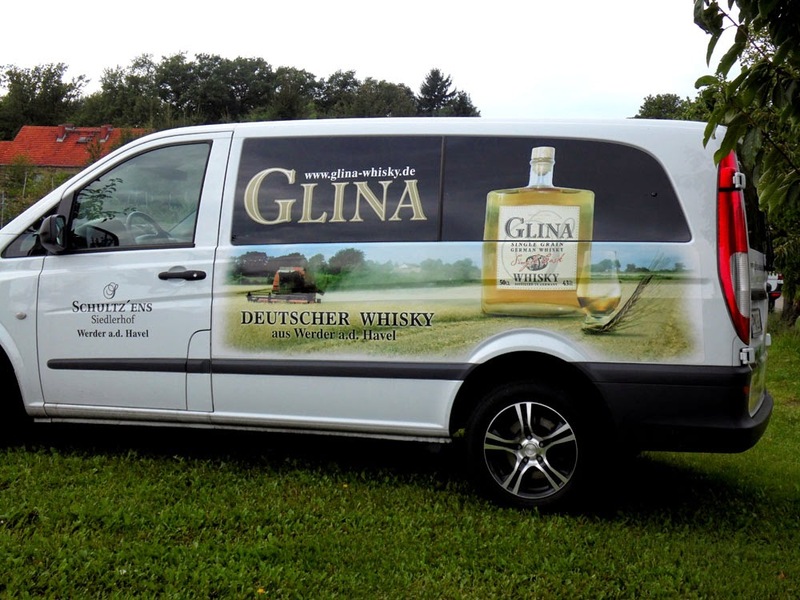 So it wasn't a great surprise whilst cycling in the countryside around Werder when we came across a Hofladen (farm shop) that also distilled its own brand of whisky. I am not particularly endorsing their produce so I won't mention their details in google-searchable text, but the curious can gather all they need to know if I post a photo of their delivery van. We had only stopped to see if the farm-house offered Kaffee und Kuchen, but were immediately pounced upon and invited to a whisky tasting by a very affable chap who turned out to be the father of the master distiller. I was offered a selection of two types of whisky, one matured in Spessart oak casks (I guess from the Spessart forest down in Hesse/Bavaria, famous for its ancient oak-trees), and one in Bordeaux casks. My Beloved doesn't like whisky, and I don't hold it against her as it is an acquired taste perhaps handed down in my Scottish genes, and she tried their gin instead. The oak cask whisky I found rather light and a bit sweet. It smelt of whisky, but of the kind from Speyside, Scotland. The Bordeaux cask whisky was, as you'd expect, much richer and deeper in nose and taste, and had a darker colour. I don't know how long they were matured in the casks, but I would guess not long. Both whiskies were very smooth, and a respectable 43%. It was a good job we were cycling, as mein Host was quite generous in the measures. I personally prefer a whisky from the Highlands and Islands; an Islay malt for example, like Laphroaig, or a Talisker from Skye. Something a bit more smoky and peaty. But, the German whisky was palatable enough - I was worried it was going to be like rocket fuel. I remember from bad experience spirits distilled by a farmer, when we stayed on a farm near the Lüneburg heath as a teenager. I think that was more what you'd call 'hooch' or 'moonshine' though. Because it is small-scale, I am afraid the prices are a bit hefty. That's to be expected; just remember you are paying extra for the feeling that everything is done by hand and at the same farm, from corn growing and harvesting to the water coming from their own well. This is not the mass-market soul-less stainless-steel production that goes on at industrial estates along Speyside. 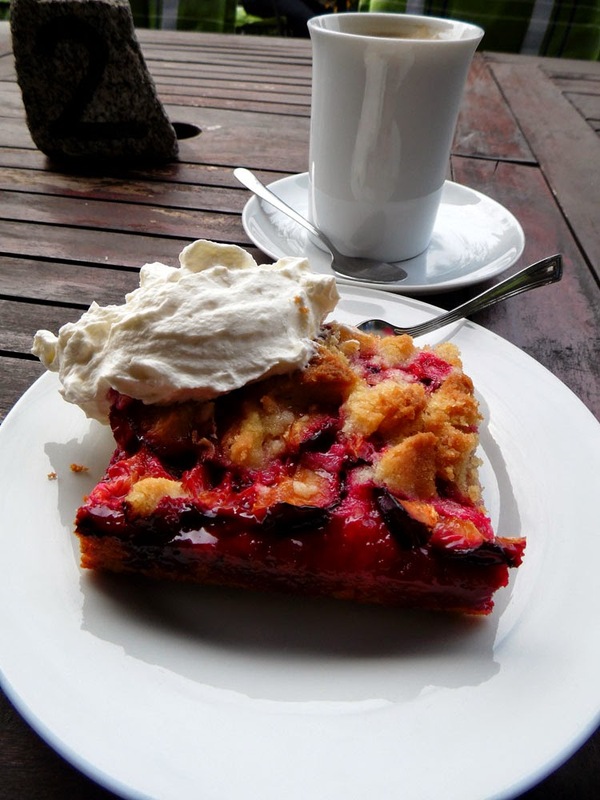 And did we get the Kaffee und Kuchen we visited them for? Oh yes! And very nice hausgemachte Pflaumenkuchen it was too, made all the more delicious because whilst we were eating it, we could see the plum trees the plums for it had come from! Oh nice! 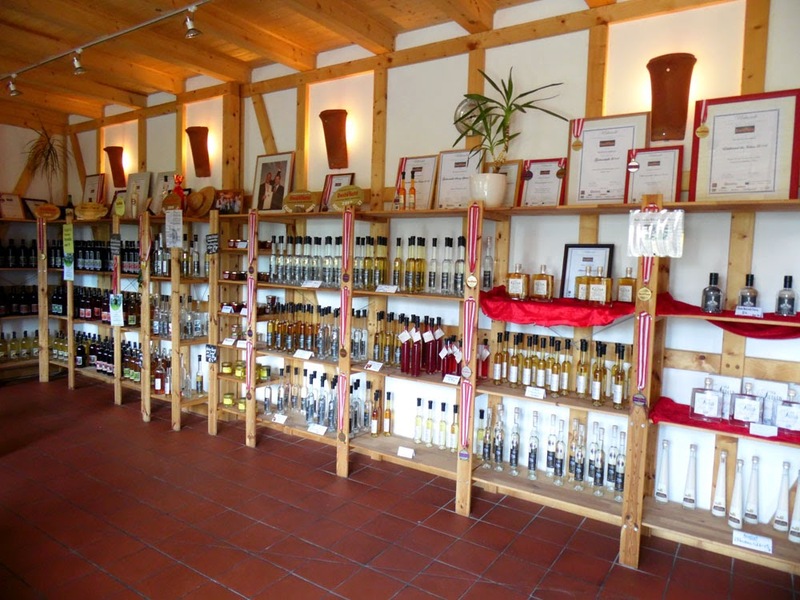 There's a whisky distillery in Bavaria called Slyrs - their whisky's actually rather good. And I'm drooling over your plum cake picture.